Gevrey-Chambertin is one of the world’s most famous red-wine towns. It didn’t hurt that the Chambertin wine was Napoleon’s favorite wine. It is often called the “King of red wines”. 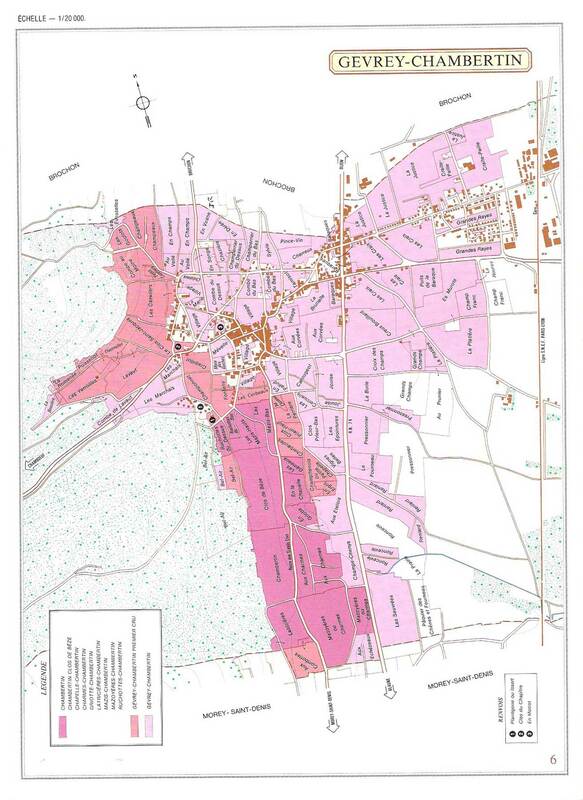 Of the big-name towns in the Cote de Nuits, Gevrey-Chambertin is the most northern. It starts a stretch of some of the most famous red-wine vineyards in the world. Gevrey-Chambertin proudly boasts 9 of the red Grand Cru vineyards in Burgundy – more than any other town. We have 3 winemakers in Gevrey-Chambertin. They all make delicious wines, but with totally different styles. One makes a fruity style, one makes a richer style with some “international” influence, and one makes very traditional/earthy Burgundian wines. Which one is better? It simply depends on your palate and what you are eating with the wine. There is no “right” choice. Please call us to learn more about our Gevrey-Chambertin Wines and their availability. © 2019 P. Comms Int'l.